The perfect summer read is just a sail away with MBNA Thames Clippers and Vintage. As part of MBNA Thames Clippers’ Love Your Commute campaign and Vintage’s Summer Reading campaign this August, stressed Londoners can enjoy a session of onboard ‘Bibliotherapy’ in partnership with Vintage to find their ideal companion read. London’s river commuters can make the most of their daily travel time by talking to Vintage’s reading experts. The Vintage team will be on board selected routes on Thursday 16 August, providing personalised reading recommendations and suggestions., Commuters will get to keep their recommended book: there will be 800 available, across a wide range of titles. Nearly one in three UK commuters (29 per cent) uses their journey time to read a book – that’s almost the same number as those who are reading and responding to emails (26 per cent). Research shows that reading improves qualify of life, reduces stress, improves memory function and helps prioritise goals but it can be hard to know where to start when choosing the right book. The experts at Vintage – publisher of writers including Virginia Woolf and Toni Morrison, Salman Rushdie and Ian McEwan – will ask commuters a number of questions regarding their reading preferences and a personalised recommendation will be made. The onboard sessions will take place on the 0755 westbound RB1 service departing from Woolwich, and the 0825 eastbound RB6 service departing from Putney, on Thursday 16 August. As usual, commuters are welcome to join the session at any pier along the route. Commuters will be paired with one of 12 titles including Homo Deus by Yuval Noah Harari and The Female Persuasion by Meg Wolitzer with further recommended summer reading lists available. Whether your preferred genre is crime thriller, motivational reading or romantic comedy, there will be a book to suit all tastes. As a result of UK-wide research, MBNA Thames Clippers is encouraging commuters to Love Your Commute and the ‘bibliotherapy’ sessions are part of its series of enriching onboard activities designed to improve travel to and from work. Londoners can learn something new, indulge with a freebie or enjoy stress-busting activities during their commute. MBNA Thames Clippers is London’s fastest and most frequent River Bus service serving 22 piers with routes from Putney in the west to Woolwich in the east. 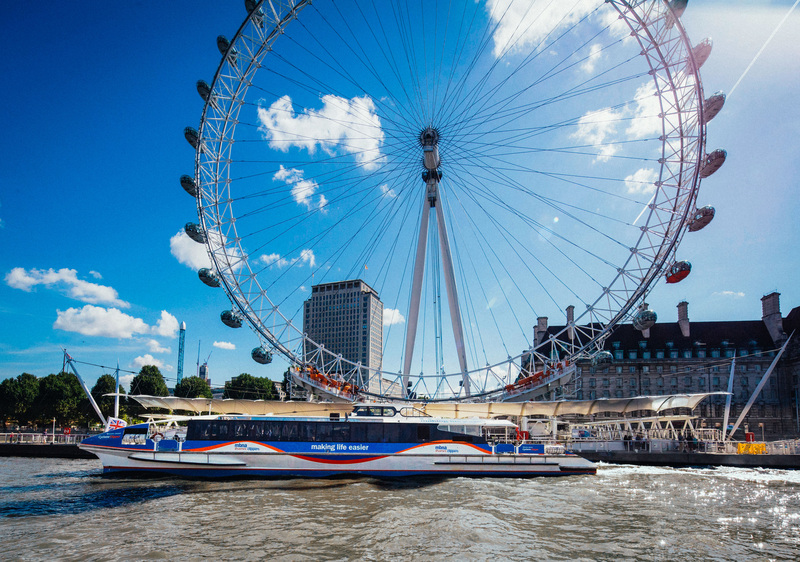 Passengers can travel directly to key central London piers such as Westminster, London Eye (Waterloo), Blackfriars, Embankment, Canary Wharf, Battersea Power Station and London Bridge City.